Rosneft, the world’s largest oil company, has changed its system of accounting currency risks under IFRS rules to reduce income and dividend risks while the ruble is still highly volatile. 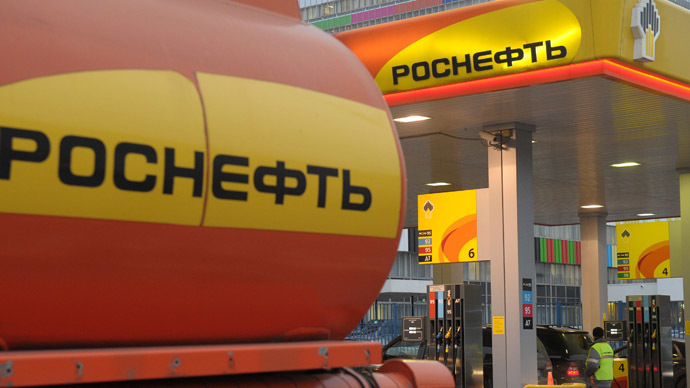 Under the changes that became effective on October 1, 2014 Rosneft is recording the impact of currency fluctuations when they materialize instead of calculating the temporary effect each quarter, the company said earlier this week. It will state all gains and losses derived from the transfer of foreign loans in rubles as part of comprehensive income, which does not affect the profit or loss of the company during the reporting period. The decision was triggered by high volatility of the Russian currency. “Due to the increased foreign exchange volatility of the Russian ruble, one-off translation of the whole loan portfolio, as of the period-end with immediate recognition of the resulting exchange differences within profit and loss for the period, can distort the effect of the actual currency risk pertaining to the current period,” the company said, adding that the issue, in turn, is reflected in the final financial performance of Rosneft. This so-called ‘hedge accounting’ has already helped BP that owns 19.75 percent in Rosneft. BP reported a $470m fourth-quarter profit from its stake in Rosneft, while analysts expected the firm to suffer multibillion dollar losses in relation to its Rosneft stake.